An eight-page white paper that lays out how merchants can reduce costs and increase margins, enhance the in-store experience, improve payment security and mitigate risk by deploying their own digital wallets is now available to download from the NFC World Knowledge Centre. 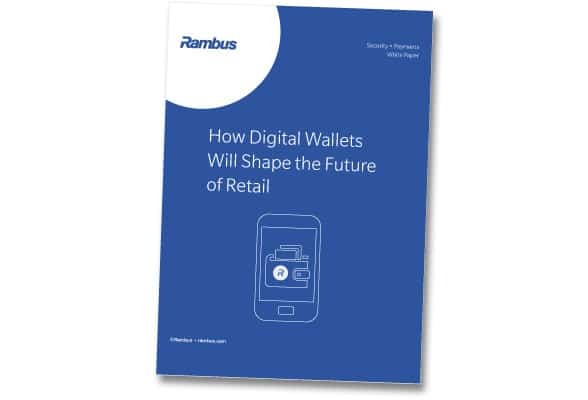 ‘How Digital Wallets Will Shape the Future of Retail’ has been produced and sponsored by Rambus and begins with an introduction to why retailers are in the prime position to offer their customers a digital wallet service, before examining each individual benefit of doing so. It then turns to take a look at the future of the retail space, exploring emerging trends including the Internet of Things (IoT), augmented reality, in-aisle checkout, invisible payments and real-time delivery. “Over the last decade, mobile payments have largely been the preserve of the banks and financial institutions,” the company says. “It is apparent, however, that the key to driving adoption lies not in solely simplifying the payments process, but in adding value. Readers can download Rambus’ eight-page white paper from the NFC World Knowledge Centre. • This white paper is part of What’s New in Payments 2, a 76-page special report that explores and explains the latest payment trends and technologies. You can download the entire report here.